Professional review of Adonia Legtone Serum. See how it compares against other cellulite creams. Overall, we really like Adonia LegTone Serum to help minimize the appearance of cellulite. Although the claims of improvement after 9 minutes are a little aggressive, we did see improvement in the longer term (think ‘weeks’, not ‘minutes’). This serum smells really, really good and blends in pretty easily. 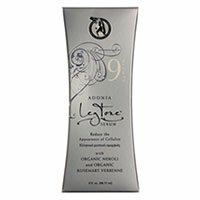 Adonia LegTone Serum comes out of the tube as a lightweight, white lotion. It’s very smooth and slick to the touch, and has a great feel to it. This light lotion goes on pretty easily. It blends fairly quickly, which is nice. It doesn’t absorb quite as quickly as some other cellulite creams we’ve tried, but it’s not too bad. Adonia LegTone Serum took a little longer to dry than we were expecting considering it’s such a light-feeling lotion. After about 5 minutes, it still felt a little wet and sticky. We really like how this smells. It reminds us of shampoo in some respects– clean and fresh. In fact, this is one of the better smelling cellulite creams we’ve tried! Like any good lotion, the smell tends to stay as good on the skin as it does in the bottle. The smell begins to fade over time just as it should. 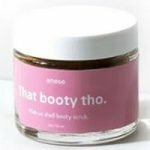 In the marketing of this product, we saw a lot of promises that said this would improve the look of cellulite in 9 minutes. We did notice a “warm” sensation after about 5 minutes after application. Perhaps that’s designed to irritate the skin a bit so it “plumps up”, temporarily masking cellulite? At any rate, we didn’t see a big improvement after 9 minutes. However, our skin did seem much smoother and a bit softer after a few uses. Longer term, we really liked the results we saw with Adonia LegTone Serum. Our skin felt very moisturized and just seemed to be a lot smoother versus untreated areas. Typical of most Adonia products, this serum is composed mainly of botanical oils. To target cellulite specifically, they’ve added Plant Stem Cells. While the jury is still out on whether Plant Stem cells truly have any benefit, they certainly can’t hurt. So even though it’s hard to tell if it’s the Stem Cells or essential oils doing the work, the results speak for themselves with this product. A tube of this costs $79.00, which is definitely on the pricey side. For a 6 oz bottle you’ll pay about $13.16 per ounce. This product comes with a 60 day guarantee. To buy Adonia LegTone Serum, click here.